Tel Aviv's apartment buildings are being transformed with contemporary interiors by a wave of local architects and designers. We've rounded up five of the best new apartment designs in the Israeli city, including a renovated space with a dramatic steel staircase and a penthouse with an infinity pool on the roof (+ slideshow). 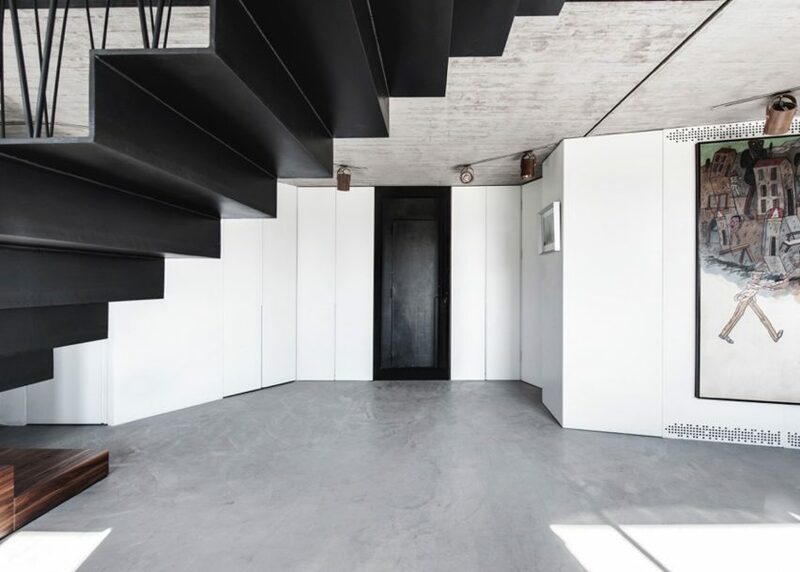 A dark, folded-steel staircase provides the dramatic centrepiece for this duplex studio renovated by Paris- and Tel Aviv-based Toledano Architects to better accommodate a young family. 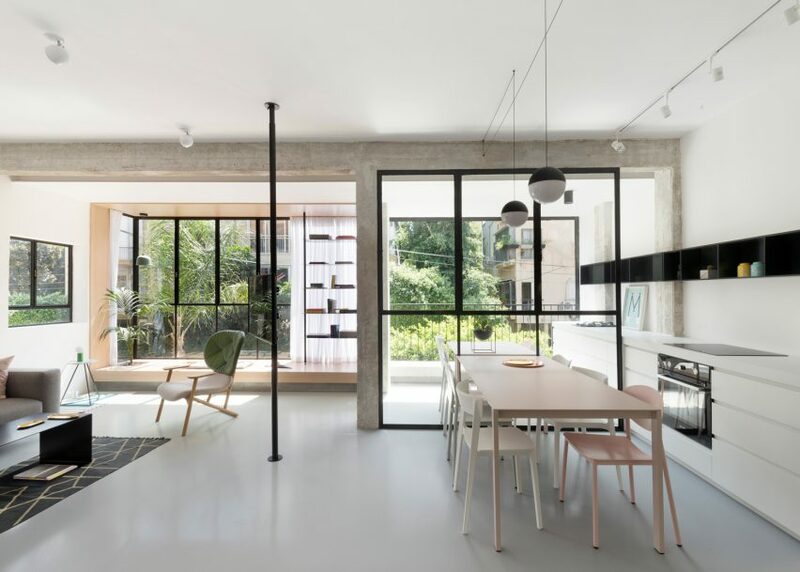 Pitsou Kedem Architects – one of the most prolific of the of Tel Aviv studios – was given the task of renovating and extending a flat that was once owned by Israel's first prime minister, the late David Ben-Gurion. Tel Aviv architect Raanan Stern adapted a room inside an artist's apartment to create a multipurpose studio space with a vast array of storage options. 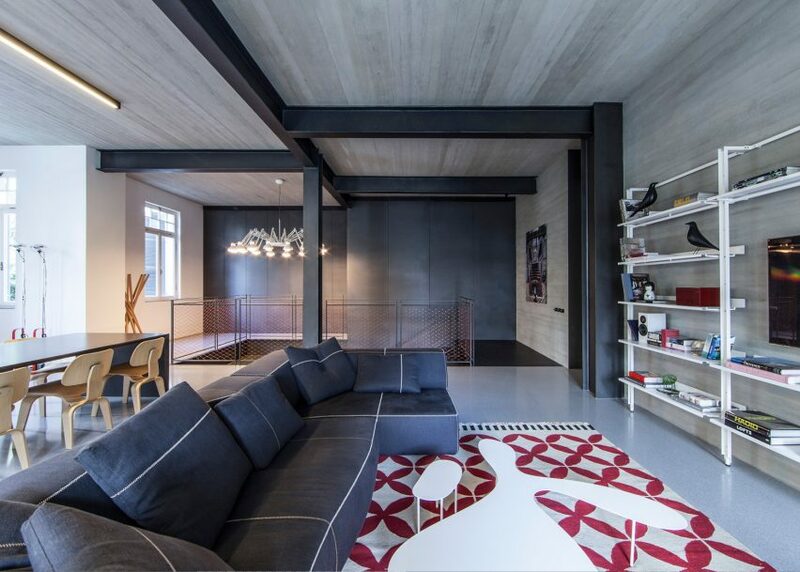 Delicate black frames and furnishings were used to structure the space inside this open-plan apartment. 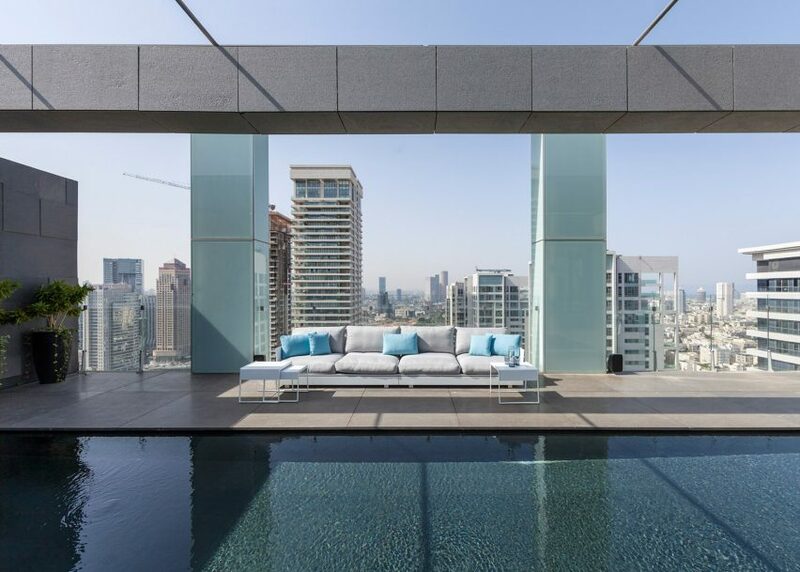 Another Pitsou Kedem project, this penthouse with a roof-top infinity pool and balcony was created by knocking four apartments into one to create a two-storey home.